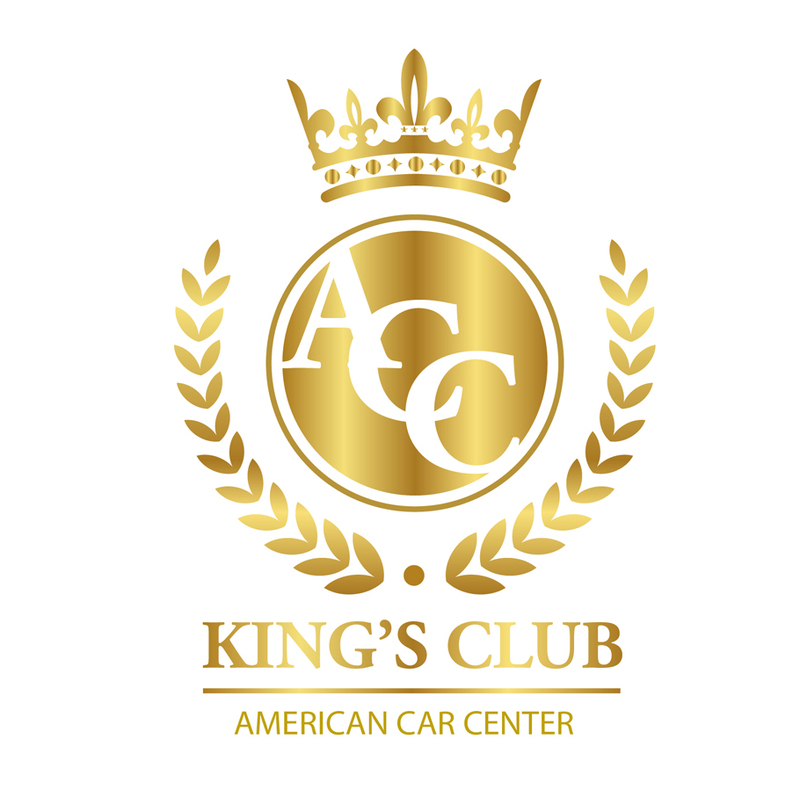 Memphis, Tennessee, February 4, 2019 – American Car Center has established the KING’s CLUB to honor its top echelon producers. The Company also recognizes its Store Managers of the Year for 2018. Collectively, the dedication and expertise of these professionals has enabled a period of exceptional and record expansion and sales growth for American Car Center. The Company is appreciative of their talent, effort, and contribution as it is critical to its long-term success and competitive advantage. King’s Club members exceed customer expectations, in every manner. The pursuit of excellence requires passion, commitment, and hard work. David S. Norton, Chief Operating Officer, is very pleased to announce the inaugural honorees of the KING’S CLUB, noting the entry class embraces those philosophies, resulting in superior customer satisfaction and sales results. 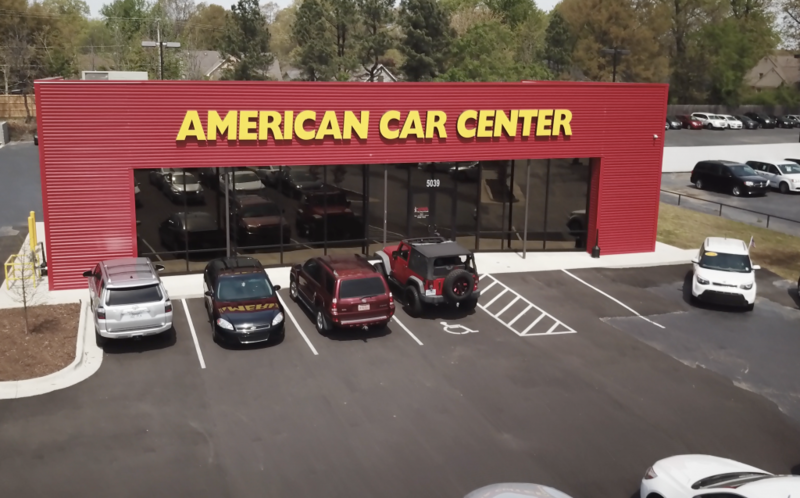 American Car Center, based in Memphis, Tennessee, operates the premier network of previously owned vehicles in the Southeastern United States, with more than 45 convenient locations across eight states. For nearly two decades, the Company’s mission has been to match hardworking Americans with exceptional vehicles in a welcoming, client-focused environment. Get Your Tax Refund Now! An innovator at matching great vehicles to great people with quickness and ease, American Car Center has partnered with TaxMax – who may be able to get you up to $6000 of your refund now! Why wait on Uncle Sam when you can get your money today? Simply bring your W-2 or 1099 to a conveniently located American Car Center to potentially receive up to $6,000 of your refund from TaxMax to use as a down payment on a terrific used, low-mileage late model vehicle from our amazing inventory of cars and SUVs. TaxMax will expertly prepare and file your tax return. As always, your credit history is of no concern to American Car Center. Allow our experience and professionalism to find the right vehicle for you today. American Car Center has nearly 50 locations across the Southeast where every vehicle includes a limited warranty of up to 36,000 miles or 3 years and oil changes, too! American Car Center and TaxMax make it simple to save time and money, so don’t wait months to get your ride – let the King of Credit approve you today! Tax returns are exclusively prepared and filed by Tax Refund Services, Inc. d/b/a Tax Max. Up to a $6,000 Refund Advance is based upon bank approval through EPS Financial, a division of Meta Bank. Tax Refund Services, Inc. d/b/a Tax Max, EPS Financial, and Meta Bank have no corporate affiliation with American Car Center in any way, and offer their tax preparation and refund advances services mentioned herein completely separate and independent of American Car Center. Posted in King of Credit Posts | Comments Off on Get Your Tax Refund Now! Treat Your VIPs to a WINNING ride from American Car Center! Posted in King of Credit Posts | Comments Off on Treat Your VIPs to a WINNING ride from American Car Center! American Car Center is not only your best destination for a great late-model, low-mileage vehicle, but the King of Credit makes your payments simple and fast saving you with time and money with recurring card and ACH payments. Now with our brand new CheckFreePay, your payment options are even better! Recurring card or ACH payments are the simplest way to pay. Card payments require only a Card Authorization Form. ACH payments require only an ACH Authorization Form. These forms are easily available at all American Car Center locations – just ask a representative – or at AmFinancial.com for printing. 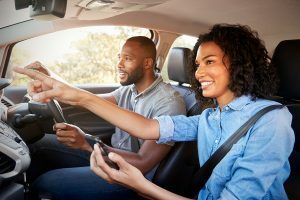 The best part of using recurring payments is all the money you’ll save on cashier’s check or money order fees, convenience fees, gas or even stamps, without dealing with large sums of cash. For residents across the Southeast, our new CheckFreePay has a huge network of walk-in bill payment agents at supermarkets and major retailers. In-person bill payment at CheckFreePay is a simple 4 steps: locating the nearest CheckFreePay agent of your choice, bringing your payment and account number to the CheckFreePay to that agent, paying your payment in cash (or debit, at available agent locations) and receiving a receipt as proof of payment. A $3.50 convenience fee is applied to each payment. 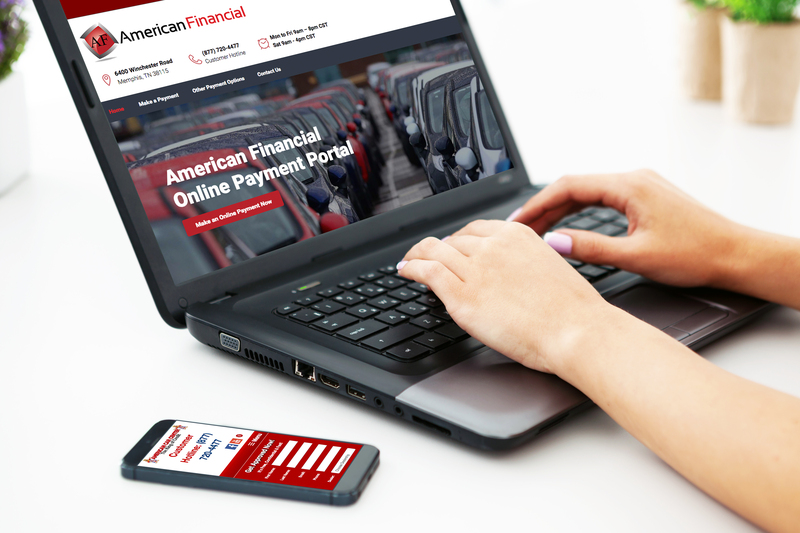 One-time card payments can be made quickly and easily by WebPay at American Financial with a $4.95 convenience fee charge. Other single payment options by telephone, drop-off, overnight drop-box and mail remain available to you. Visit American Car Center today to have The King of Credit approve you for an outstanding, low-mileage car or truck, simply and conveniently. 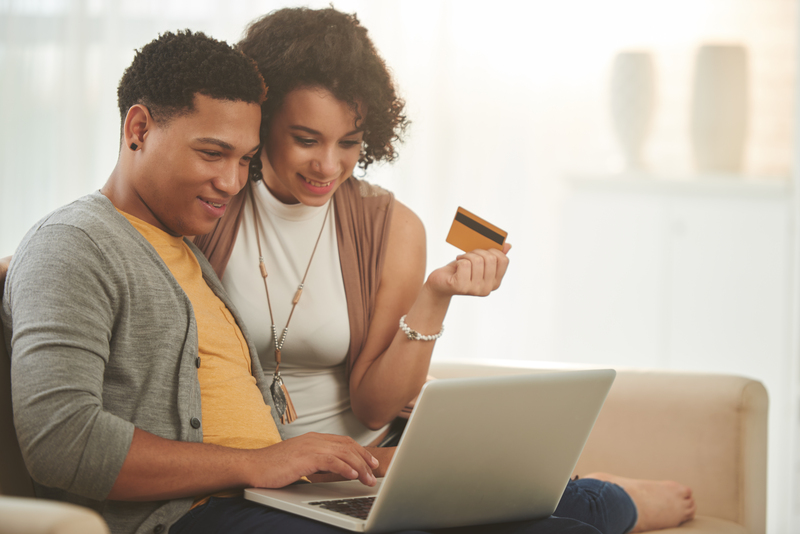 Our focus is exceptional service and saving you time and money – that includes the payment option best suited to you, such as, recurring payments or CheckFreePay. At American Car Center find the right car or SUV for you with a limited warranty of up to 36,000 miles and oil changes, both for three years. American Car Center’s 30-plus modern and friendly locations are easily situated near you so that we can serve you best! Visit AmFinancial.com, because the King of Credit wants to make your payments easy today! Why Choose American Car Center? You have a lot of options when it comes to choosing a pre-owned vehicle. If you want your YES on the right vehicle for you, you need to come see the King of Credit at American Car Center! There’s a reason we’re the King of Credit! We want to approve EVERYONE! Partnering with good people with credit problems is our focus and passion. We think you deserve to drive a great, dependable vehicle, so if you want your YES, you need to come see us! You won’t be approved for just any vehicle; you’ll be approved for a GREAT vehicle! We have a HUGE selection of low-mileage, late-model used cars to choose from. From sporty sedans to roomy SUVs, you’ll find the vehicle you need NOW! You’re more than a customer to us, so we make sure you’ll be safe and satisfied in your vehicle for years to come with up to a 3 Year, 36,000 Mile Limited Warranty with EVERY vehicle! When you choose American Car Center, you don’t have to worry about your credit OR oil changes! We’ll take care of your basic maintenance with complimentary oil changes for up to three years. 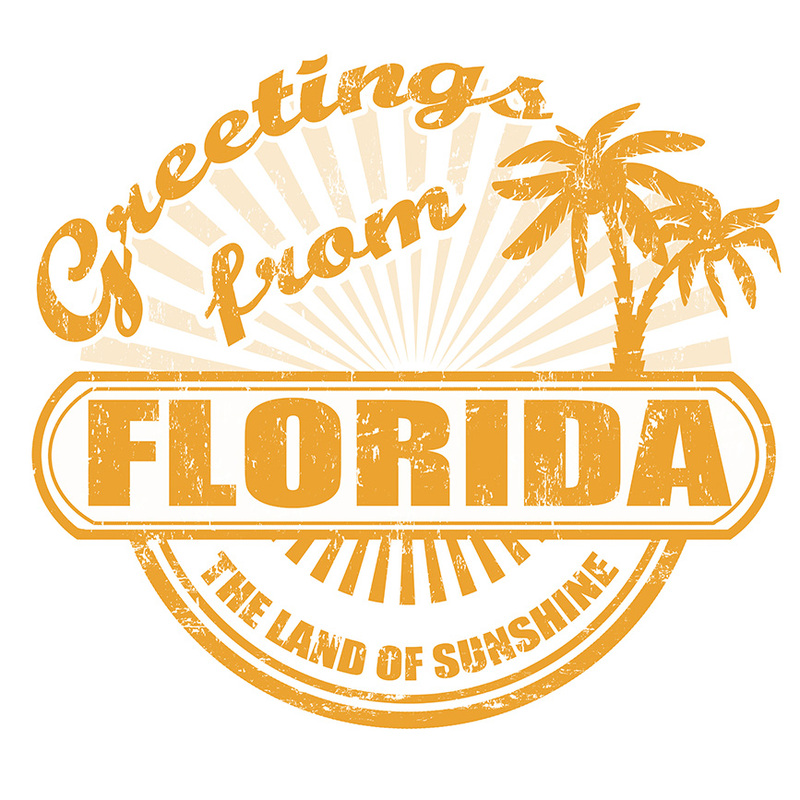 We have over 30 locations to shop across the Southeast, with more opening all the time! Wherever you are, there’s a local American Car Center waiting to approve you! We make it easy to pay YOUR way. Pay cash at any CheckFreePay location, never worry about your payment again with recurring payments, pay over the phone or by mail: whatever works best for you works best for us! The choice is clear! The best place for you is American Car Center. Come find your perfect pre-owned vehicle, because the King of Credit wants to approve YOU today! Posted in King of Credit Posts | Comments Off on Why Choose American Car Center? Newborn babies and infants need special protection while in a vehicle. 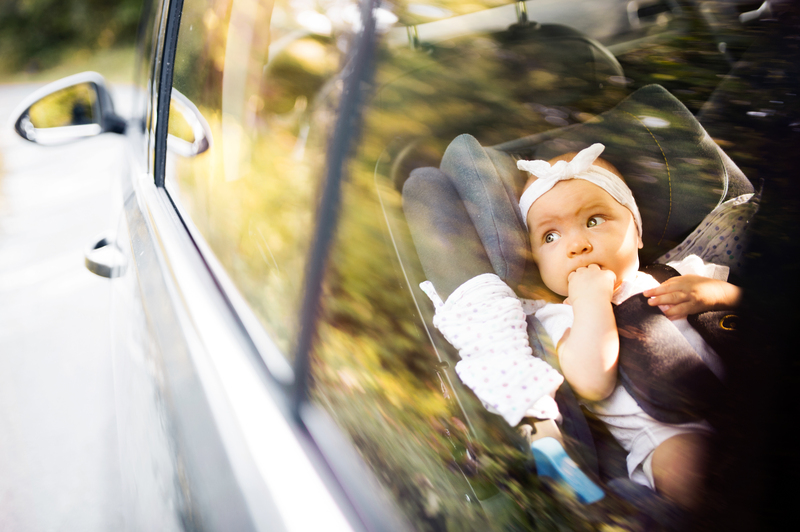 In a collision, a properly installed and used rear-facing child car seat can save your baby’s life. Vehicle safety, especially for our most precious cargo, is American Car Center’s main priority. Choosing the right car seat for your child and using it for every ride is the best way to keep your child safe. The right car seat is one that is proper for your child’s height and weight and can be correctly installed in your vehicle. Always follow the manufacturer’s instructions and read your vehicle owner’s manual for correct child car seat installation and use. Install away from active airbags. For most vehicles the safest place is the back seat or the second or third row of a mini-van. Install the base at the correct angle. The angle range will be written on the car seat itself or in its manual. Some infant car seat models feature a built-in level indicator. Use your body weight to tighten and fasten the seatbelt or Universal Anchorage System (UAS) strap through the base. 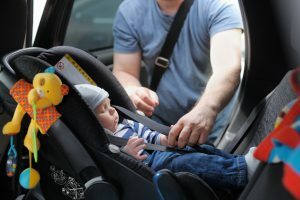 The child car seat should move no more than 1 inch in any direction where the seatbelt or Universal Anchorage System (UAS) strap is routed through the child car seat. If needed, use a locking clip. This clip helps secure the child car seat into your vehicle, if your vehicle’s seat belts do not lock. Consult your vehicle owner’s manual to see if you need one. If so, install the locking clip on the seatbelt within one-half inch of the latch plate. Use the harness slots to position the straps correctly. Your harness straps must pass through the correct slots. Check your child car seat manual for the correct height. Make sure the harness straps do not twist or fold. Harness straps need to be straightened out each time you secure your baby in the seat. Adjust the chest clip on the harness. It should lie flat against your baby’s chest at armpit level. Secure the harness straps at or below your baby’s shoulders. You should not be able to fit more than one finger underneath the harness straps at your baby’s collarbone. Make sure the carrier latches into the child car seat base every time. Give it a tug to ensure it is still secure each time you place your child in the child car seat. Remove bulky clothing from your baby, such as, thick sweaters or heavy jackets to ensure that the straps fit snugly. It is best to keep your child in a rear-facing child car seat until they reach the manufacturer’s recommended maximum weight and height limits, since the rear-facing position is the safest. When your child outgrows the maximum weight or height limits of an infant rear-facing car seat, they may move to a larger convertible infant/child car seat and stay rear-facing until the child is ready to face forward. Rear-facing car seats should never be placed in the front seat of a vehicle. Do not use a car seat past its expiration date or if it is involved in a collision. Visit a conveniently located American Car Center today for your family’s unique vehicle requirements. With an inventory of thousands of top-notch late-model, low mileage SUVs and cars backed by a three-year/36,000-mile limited warranty, you’re sure to find the right one for you. American Car Center makes it simple and easy, no matter your credit history. American Car Center is your summer destination for an outstanding late-model, low-mileage vehicle with a limited warranty of up to 36,000 miles and oil changes, both for three years. Visit one of our convenient locations – where no credit is no problem – today to find the right car or truck for you. Then, visit all our other great locations across 6 states as part of the American Car Center Summer Road Trip! This summer, better discover your own country and see the America you have never seen before. At every American Car Center location you visit during your trip, share your photos and stories with us and check-in with your fellow road trips on Facebook, too. Before you head off, plan your route, ensure your tires are properly inflated and have a safety kit in your trunk. Bring music you love and items to occupy the kids to increase your pleasure on the open road. 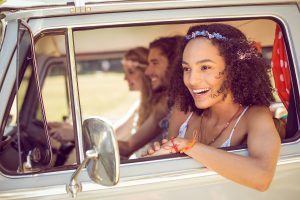 A road trip is mostly about dreaming, imagining yourself in the beautiful landscapes or bustling cities which dot this land as you navigate the great highways and friendly roads unrolled before you. It is in our adventurous nature as Americans to see everything and be everywhere. Discover the warm friendliness and generosity of America and take thrill in watching the landscape change before you very eyes. Witness the Mississippi River, monumental in size and slowness, journeying down the middle of America, as a symbol of life and history. Be enthralled on historic Beale Street in Memphis, Tennessee, a quarter-mile stretch billed Home of the Blues and Birthplace of Rock and Roll. Be wowed by the enormous Saturn V rockets and interactive exhibits at the U.S. Space & Rocket Center in Huntsville, Alabama. Or simply feel the serenity of the rolling hills, soft green fields or glistening waters of the Atlantic as the miles by. In summer, car and trucks are a lot like people – they are happiest when kept cool. 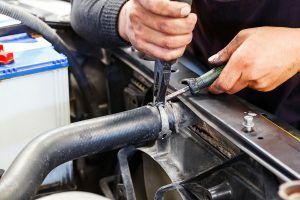 A belt or hose failure can cause an overheated engine, the loss of power steering and loss of the electrical charging system, potentially requiring expensive repairs. Thankfully, easy preventive maintenance of hoses and belts can help keep your vehicle’s engine cool under the sun and your summer driving vacation plans on track. Made of flexible rubber compounds which absorb vibration, hoses are the cooling system’s weakest structural component. Manufactured to hold coolant under pressure, hoses are subjected to the extremes of hot and cold, dirt, oils, acids and sludge. Hoses slowly deteriorate from the inside; a weakened hose may rupture from pressure, heat, or constant flexing. The most susceptible areas of the hose are nearest to clamps where it connects to the engine or radiator. Check the white coolant-recovery tank’s markings to confirm correct the fluid level. Also check for white, pink, blue or light green, blue, or pink coolant residue in the engine bay – a sign of leakage. When the engine is cool, give the hoses a squeeze near the clamps, feeling for soft spots. A good hose will be firm yet pliable. Inspect for visible cracks, nicks, depressions or bulges. Look for oil contamination or fraying near the connection points. Inspect for parallel cracks in bends, a hardened glossy surface or abrasive damage. Flush & replace the coolant according to the owner’s manual as clean coolant will lessen deterioration. Many of the same things – heat, ozone, oil and abrasion – that damage hoses also harm a vehicle’s belts. 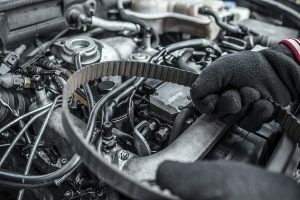 Most cars and trucks have one multi-grooved serpentine belt to drive the alternator, water pump, power-steering pump, and air-conditioning compressor. A belt should be changed when it shows signs of excessive wear. 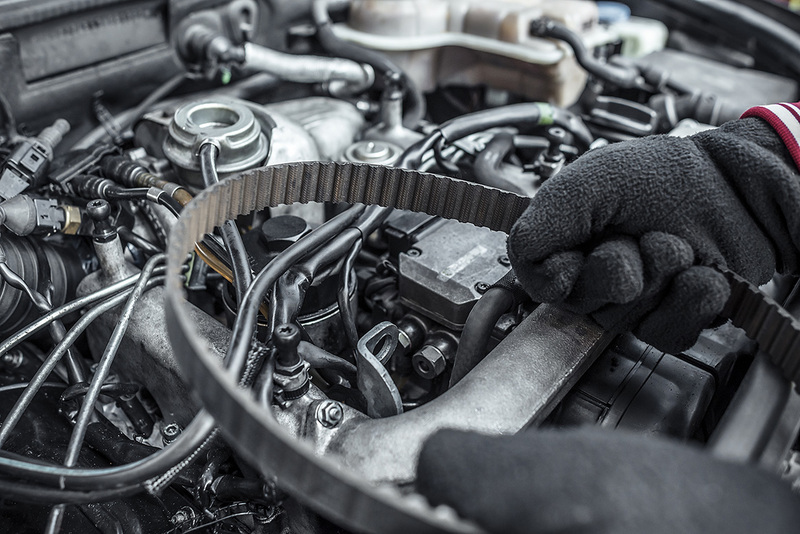 Inspect the serpentine belt for cracks, fraying, or splits on the top cover. Look for signs of excessive glazing on the belt’s sides. Glazed or slick belts can slip, overheat or crack. Twist the belt to check for separating layers, cracks, or missing chunks of the grooves on the underside. Listen for the sounds of a belt-tension problem: high-pitched whining, chirping and vibration. Speak to a qualified technician about any cooling issues and always consult your owner’s manual for routine maintenance procedures. It’s that simple. 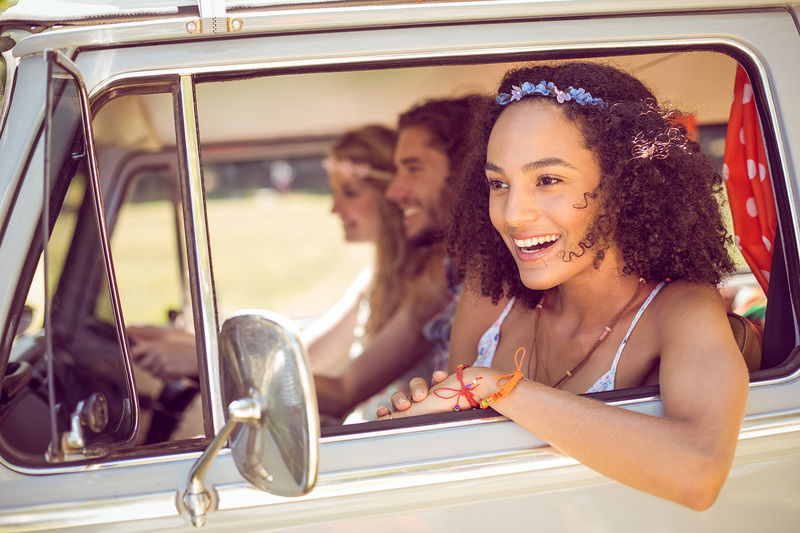 A quick under-the-hood inspection of your vehicle’s hoses and belts, lends peace-of-mind that your summer driving will be smooth and carefree! Visit a conveniently located American Car Center today for exceptional service and let us find for you a great vehicle from our vast inventory of late-model, low-mileage cars, trucks and SUVs. We make it easy for hard-working people across the Southeast to drive a high-quality vehicle no matter their credit history. 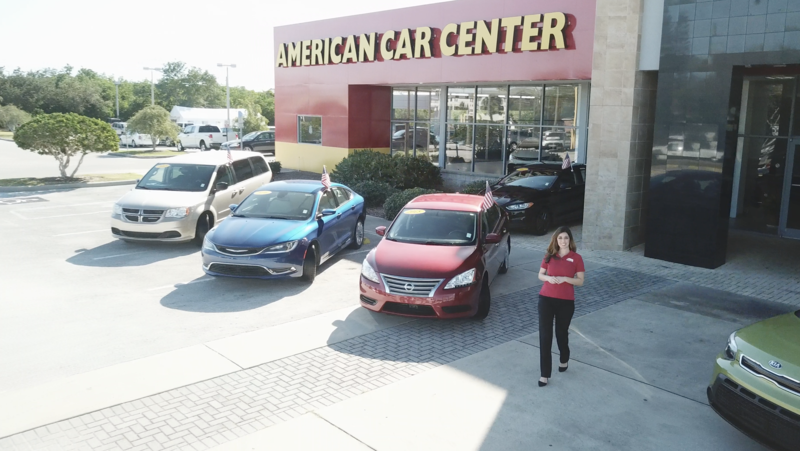 American Car Center – where no credit is no problem – is the leading pre-owned car dealership network across the Southeast with more than 30 convenient locations in six states, now including 12 in Florida! We are delighted to bring The King of Credit experience – a smooth and easy way of finding top notch late-model and low-mileage cars and trucks for hard-working people – to the Sunshine State. Florida is a vast and vibrant place of thriving communities. American Car Center is eager to put our experience, passion and huge inventory to work on behalf of Floridians who want a great vehicle – one with a limited warranty of up to three years and 36,000 miles – and outstanding service – with oil changes for three years and multiple, convenient payment options, including telephone and online payment. We are committed to providing professional and understanding service in locations right where you live or work. 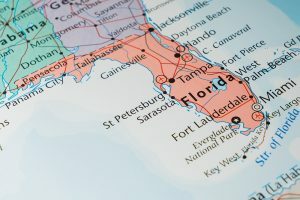 All twelve American Car Center locations in Florida are modern and full of great vehicles you would be thrilled to drive home to show your family and friends. Let’s learn more about the exciting communities where we are located! The state capital of Florida is Tallahassee. The Capitol Complex includes the restored Historic Capitol, now a museum with displays on political history. The Capitol tower, built in the 1970s, offers appealing vistas from its observation deck twenty-two stories high. Nearby, exhibits at the Museum of Florida History cover European discovery, the Civil War and World War II. American Car Center is located nicely situated on West Tennessee Street. Pensacola is a waterfront city in the northern Florida, separated from the Gulf of Mexico by Santa Rosa Island; its protected beaches make it a popular holiday destination. The city was one of the earliest European settlements in the United States and Historic Pensacola Village is a museum complex containing original 19th-century buildings. 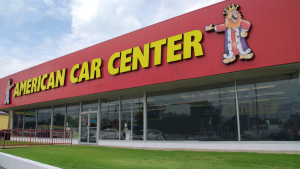 American Car Center is well located on Pensacola Boulevard. Jacksonville is an expansive city and important commercial center in northeastern Florida on the Atlantic Ocean which claims museums and universities. Surfing, swimming and beach-going are popular at nearby barrier island beaches, including Neptune Beach. The city is home of the famous NFL Jaguars. American Car Center has three convenient locations in Jacksonville: on Cassat Avenue, in Lakeshore South; on Blanding Boulevard, in Argyle Forest; and in Arlington, on Atlantic Boulevard. American Car Center is a fast-growing network of used vehicle dealerships across the Southeast. From Nashville to Tampa, Little Rock to Savannah, and points between, we have you covered. With 30 locations in Alabama, Arkansas, Florida, Georgia, Mississippi and Tennessee, and more on the way, there’s a convenient location for everyone! Our knowledgeable and helpful sales representatives have a passion for finding the right used car or SUV for every one of our clients. Our extensive selection of late-model, low-mileage vehicles come with limited warranties and oil changes for up to 3 years. And don’t worry about credit – American Car Center is the King of Credit. We are committed to matching great cars to great people. And of speaking added convenience, we have multiple payment options, including telephone and online. Let us help find the right vehicle for you today! For nearly 20 years, American Car Center has made it easier for hard-working Americans across the Southeast to find the car or truck best suited just to them. We work hard to make the experience of finding a used vehicle smooth and rewarding, knowing that for our clients, the convenience of a nearby location matters. Start the approval processes now! The King of Credit wants to approve you today! It’s our pleasure to make it as simple as 1, 2, 3. American Car Center is quickly adding more and more convenient locations to serve you even better. 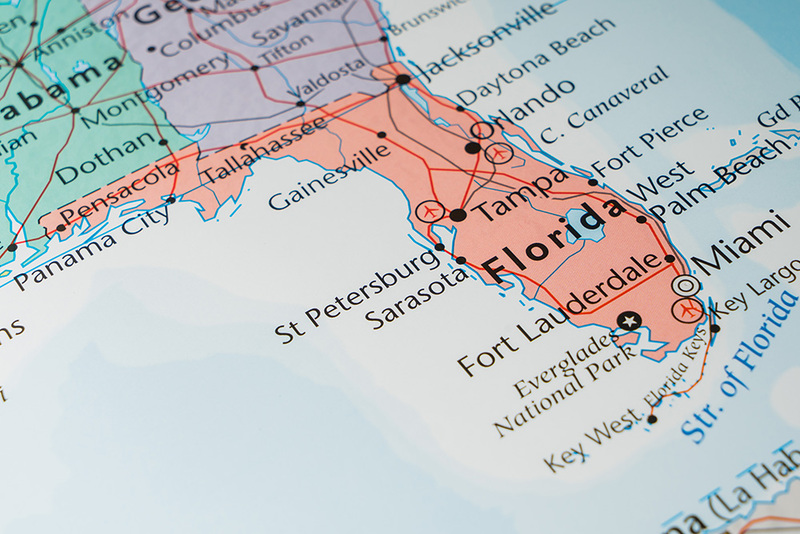 Recently, we opened locations in Florida, Georgia and Arkansas. Stores in Biloxi and Gulfport, Mississippi will open soon. 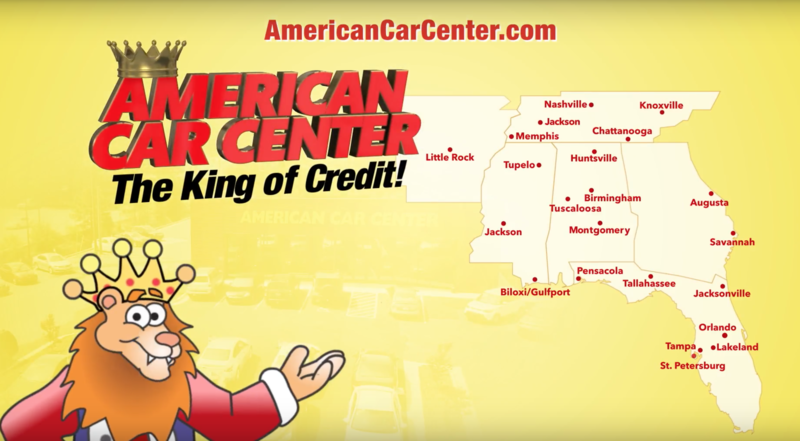 Find the American Car Center closest to you, because the King of Credit wants to approve you today! Posted in King of Credit Posts, Locations | Comments Off on Visit our Newest Locations!